Walter F. Harvey is the Senior Pastor of Parklawn Assembly of God since 1992. He is the Chief Apostle and Presiding Bishop of the Outpouring Ministry Network Group, and the convener of the Milwaukee Declaration Pastors Group. A visionary leader, he was the founder of Parklawn Christian Leadership Academy in 1998, and at its peak, the school educated up to 210 students in K4-8 grade. In 2008, he led Parklawn in the completion of a new 40,000 square foot building addition at an estimated cost of $5 million dollars. The facility now hosts a music and fine arts wing, a café, children’s ministry, conference area and the accredited School of Urban Ministry and Theological Seminary. Bishop Harvey is a graduate of Marquette University, with a Bachelor of Science Degree in Liberal Arts (Major: Psychology and Minor in Counseling). He is an ordained minister with the Assemblies of God and serves on a statewide and national level as a General Presbyter and the President of the National Black Fellowship of the Assemblies of God and serving pastors and churches in a governance and spiritual advisory role. Bishop Harvey is a published author and builds the greater Milwaukee community and Christian community by serving on numerous boards. He is the President of Walter Harvey Ministries, Inc., an international media communications and consulting firm. 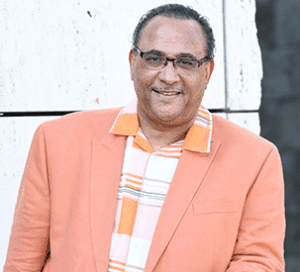 Bishop Harvey is noted for his humorous, practical yet powerful teaching and preaching style. Bishop Harvey is highly respected for his integrity and kingdom approach in the region and nation. He has traveled to numerous countries to plant and encourage churches, train and develop Christian workers and pastors and to do humanitarian work: the countries include Japan, Columbia, Ethiopia, Kenya, Mozambique, Nigeria, South Africa, Swaziland and Uganda. He is a son of the city of Milwaukee is passionate about community engagement, economic flourishing and biblical justice. He is the devoted husband of Lady Judy Harvey, the proud father of one son, Nicholas and grandfather of Autumn Marie Harvey. Bishop Darnell Keith Williams Sr. has been blessed to serve the kingdom for over 30 years. He is an ordained minister with the Assemblies of God. His leadership responsibilities have been demonstrated in church planting, church revitalizing, serving as a Sectional Presbyter. In 2014 he was elected as District Executive Secretary-Treasurer of the International Ministry Network, an Assemblies of God District. Nationally, he served as Treasurer (2013-2018); and currently as Vice President of the Assemblies of God National Black Fellowship; and General Presbyter of the Assemblies of God (by virtue of office). Bishop Darnell is the lead pastor of New Life Church International a multi-ethnic ministry located in Lima, Ohio. Educationally, he has earned a Bachelor of Arts in Bible, a Masters in Management and is currently a completing Doctor of Ministry degree at The Assemblies of God Theological Seminary. He has ministered in North America, England, Africa, and various Caribbean nations. Williams was consecrated as a Bishop and Overseer of New Life Network in 2011 under the leadership of his spiritual father, Bishop Burton Ross. He serves on the Board of Trustees at Evangel University and the foundation board of Rhodes State College. 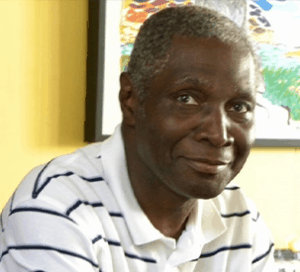 He has served as an adjunct lecturer at the West Indies School of Theology, Trinidad, West Indies. Williams is a preacher, teacher, conference speaker, and facilitator. He is happily married to Kim Charlene Williams for 25 years and they have one son, in college, Darnell Adrian, Jr. 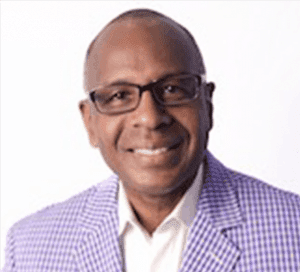 Contact Bishop Darnell K. Williams, Sr.
Lead Pastor – New Life Church INTL. Pastor Darrell John Geddes has been involved in active ministry of one type or another for the past thirty four years of his life. In 1980 after graduating from North Central Bible College Darrell and his wife Edna took the position of Youth Pastors at Southside Tabernacle on the south side of Chicago. After three years Youth Pastoring, Pastor Geddes and his wife moved to Little Rock, Arkansas where they pioneered Solid Rock Assembly of God from 1983 to 1986. In 1986 they returned to the city of Chicago where they served for five years as the senior associates at Southside Worship Center under the leadership of Rev. Spencer Jones. In 1991 they move to Minneapolis Minnesota where the joined the faculty of North Central University developing the Urban Ministries Major and the accompanying curriculum. After nine years of successful ministry at NCU Darrell accepted the position of Executive Director for the Urban Leadership Academy (2000) a senior high school program that focused on leadership development and service learning. 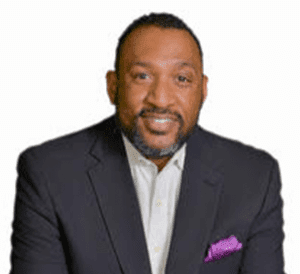 While serving as the Executive Director for the Urban Leadership Academy Darrell accepted the senior pastor’s position at Christ Church International. Rev. Geddes and his wife Dr. Edna Geddes have been pastoring Christ Church International for the last 12 years where they challenge the congregants to ‘touch their community one family one life at a time. Kathy Jones, a native of Chicago IL. is a renowned vocalist. She has had the distinct privilege of singing before thousands. Her contemporary and traditional gospel music styles have graced audiences at the University of Illinois’ Chicago Pavilion, the Indianapolis Hoosier Dome where Steve Hills was speaking and she has been featured as Pastor, teacher and vocalist at hundreds of churches or functions across the United States. Kathy has also traveled overseas in Haiti, Guatemala, Belize, Jamaica and the Bahamas to make know the precious name of Jesus. In addition, Kathy promoted national recording artist, Chiquita R. Griffin, who has opened for renowned, national recording artists such as Vickie Winan, Lemmie Battles, Darryl Pandy, and has also been featured on Illinois State’s Attorney offices’ Victims of Crime Program for the March of Dimes. Kathy’s songs- Warfare Tears, Everybody’s Got A Daddy, and I Promise to Love along with many of the others she’s written continue to have a great impact on audience everywhere. Her highly anticipated up coming DVD entitled “Family” is schedule to be released nation wide in March of 2012. This one of a kind mix of original songs and traditional gospel music will feature Kathy’s skillful ability to present vocally the Gospel of Christ to the hearing and the hearing impaired. Kathy is married to Bishop Spencer Jones and has four wonderful children, Daliz, Shemen, Trayon and Melinet. For more than 18 years Pastor Ruff has been following Gods plan for his life. Ministry for Gerard started as student athlete leading other college coeds to Christ, while filling the role as president of the Fellowship of Christian Athletes. The journey from there included roles as a youth pastor, worship leader, Associate Pastor, National evangelistic event coordinator. His willingness to follow has resulted in an opportunity to have others follow him as he pastors Cornerstone Assembly of God. In 1995 with 65 people in attendance Cornerstone took its first steps, 7 years later nearly 700 people worship together. Pastor Ruff is recognized nationally and internationally by his peers as one who can reach people of all ages, stages, and races. Seeing them not as they are but as they can be. He is also a family man, sharing his life with his wife Kimberly, for the last 18 years. She works diligently to compliment her husband as his ministry privately and publicly. They have two daughters Brianna and Shae.